If you’re growing tired of the iPhone 6 rumors, mockups and supposed leaks, then today isn’t going to be your day. 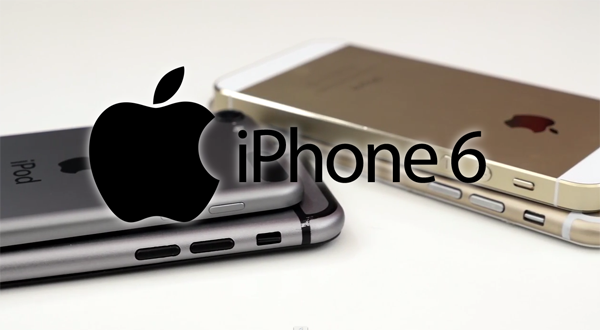 Hot in the heels of so much talk about the unannounced iPhone 6 so far, we’ve got another video that shows something of a rarity – the iPhone 6 in a rather fetching gold sheen along with Space Gray model next to current iPhone 5s and Nexus 5. Russian gadget repair service Rozetked has put this particular video together and we have to say, it looks rather stunning. Being compared to a current iPhone model and the Nexus 5 from Google or LG, depending on how you look at it, the iPhone 6 stacks up rather well in the looks department. We’d go so far as to say that these mockups and leaked photos of what the iPhone 6 is expected to look like actually depict what we think could be the best looking iPhone ever. Considering we’re huge fans of the iPhone 5 and iPhone 5s design, that’s quite the compliment. The video itself actually runs for over four minutes, so there is plenty to feast the eyes on. Of particular note to those of us with small hands are the numerous clips that show someone man-handling the iPhone 6 mockup with one hand and, we’re pleased to say, it doesn’t look like it’s going to be too big. Still, the proof is very much in the pudding with these things, so we’ll have to reserve judgment until we drop one because we’re trying to do some ridiculous swipe gesture. Fingers crossed on that front! If you’ve had your fill of iPhone 6 videos, then this isn’t going to fill you with joy but, if you still have an insatiable need for video of a device that doesn’t exist yet, then you’re in for a treat. Sit back, relax, and enjoy the (imaginary) ride. No more mock up please. I am ignoring it for the next true information first. I still say NO to those ugly antenna bands!